Shatter is a concentrated form of weed with a super-high potency, often hitting 80 percent cannabinoid content. Here’s how you smoke shatter. Shatter is the purest form of cannabis extract. It has an amber, glass-like transparency and some of the highest terpene content of all concentrated extractions. In addition to producing an intense high, it creates one that lasts. But how on earth do you smoke this concentrated form of weed? There are two ways, to be exact. Not only can you smoke shatter using a rig, but you can also do so without one. The beauty of shatter is its potency, which often packs up to 80 percent cannabinoid content. Although there are a few ways to burn shatter, the oil rig is by far the most popular. An oil rig, in particular, is a glass pipe that looks similar to a bong. In addition to containing a vertical chamber, it also includes a mouthpiece and a hole, which is where you insert a small nail made of glass or metal. After the nail turns red, you then use a metal dabber, scoop up a small amount of shatter, and then dab it onto the nail. As a result, the oil combusts right away, and a thick plume of smoke is produced which you inhale through the rig. Often, you’ll be left with additional oil on your nail after each dab. In this case, you have two choices as to what you’ll do with it. First, you can continue blasting the nail using a torch until the remaining shatter is gone. Or, you can wait until the goop begins to clog your rig. In that case, you can soak the pipe in alcohol. Then, boil it until all of the alcohol disappears. Finally, scrape up the remaining oil and dab again. What if you don’t have a rig? No rig? No problem. 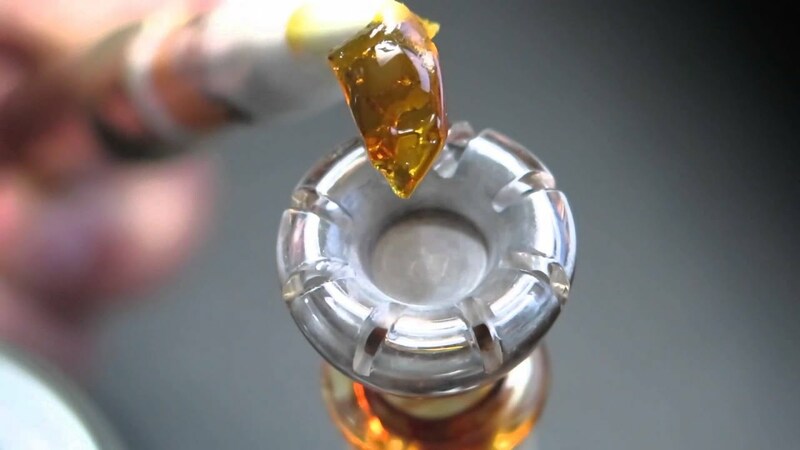 In fact, there are more ways to smoke shatter than one, no rig necessary. To start with, you can fill your bowl up with ground up weed. Then, add a few drops of dab onto the pot. Continue filling the remainder of the pipe with ganja, and spark up when you’re done. Not only does this way prevent an open flame from coming into contact with the shatter, but it also keeps the THC from being burned before it has time to enter your lungs.